It's no secret that indie developers are flocking to the Nintendo Switch. It's the hottest platform for games that fall outside of the triple-A space, as Switch success stories seemingly pop up every week. Here's another to add to the pile. Ska Studios' Michelle Juett Silva tells Destructoid that "Salt and Sanctuary sold super well" in its first week on the Nintendo Switch eShop. Exact figures weren't disclosed, but she says that it rivaled Salt and Sanctuary's first week Steam numbers, which is rather impressive considering the Switch port released two years later. That performance made it the fourth best-selling digital game on the eShop and the eighth best-selling Switch game overall during the past week. 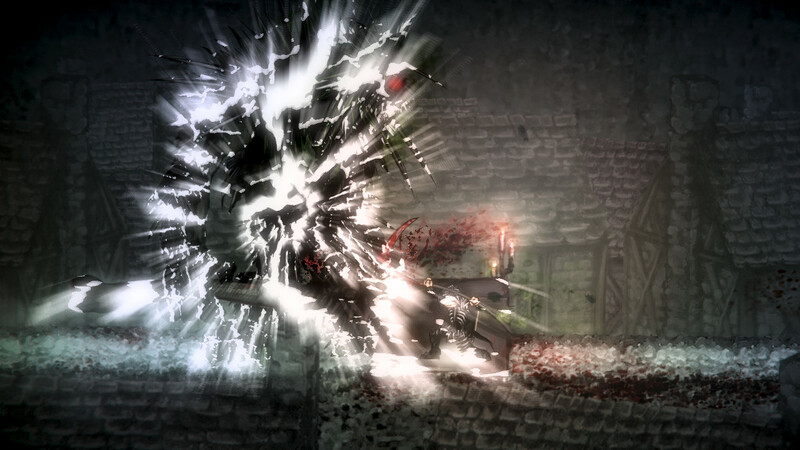 This probably isn't the end of the road for Salt and Sanctuary. Now that it has released on PS4, PS Vita, PC, and Switch, there's one more logical platform to port to. Juett Silva has recently hinted at Salt and Sanctuary coming to Xbox, although nothing is official yet. Xbox is where Ska got its start back in 2009 with The Dishwasher: Dead Samurai, and the studio spent the entire past console generation staying exclusive to Microsoft. If Salt and Sanctuary is indeed Ska's return to Xbox, it'll be fresh off a strong performance on Switch. Not too shabby for a game that's two and a half years old.